Siddharth Malhotra : Eye candy for many, but a versatile actor indeed; He flawlessly blends into the character of Vikram Sethi. He Shines! 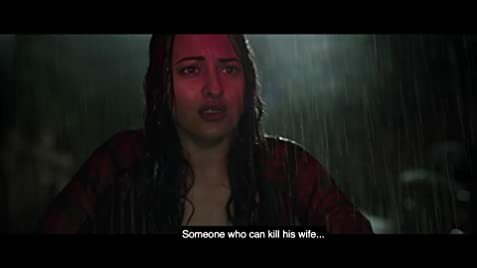 Sonakshi Sinha : She plays Maya; she looks genuine, but doesn't leave an impression. Aksheye Khanna : Aksheye is in top form, he looks convincing as Dev, He was serious as well as quirky. Story : 2 murders, 2 suspects, 2 different stories and 1 truth. The screenplay keeps you glued and thrilled. Considering it being a remake of the 1969 Rajesh Khanna starrer Ittefaq, Abhay Chopra has done a fair job in the direction. Music : 100 mins of Thrill with no music. 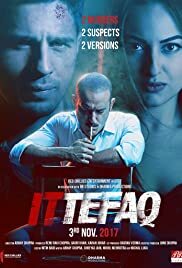 Overall, Ittefaq is a one time watch flick.. will do average at the box office.